Take one part WD legacy and one part Sandisk and stir = Magic! When talking about Western Digital, I think the first thought is a storage Behemoth that has been around since seemingly the beginning of PC (since 1970 actually, so close enough). 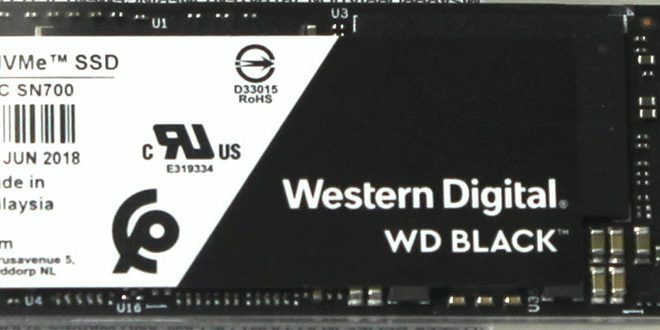 I am betting if you asked Western Digital about SSDs or Flash-based storage back in 2007 when Samsung released their first SSD into the market at a lofty 32GB coming in at around $1,000.00 USD (Yes, you read that right) they would not have much concern about the potential emergence of flash-based storage to the likes which we have now and the capacity per dollar which now threatens the mechanical storage medium as moving to obsolescence. Here you see it, now keep in mind that Western Digital has had another Black M.2 drive so it can get a little confusing as it was NOT NVMe and instead a slower interface, so be sure to look at the speed rating as you see on the bottom LH of the packaging or for the NVMe wording as you see in the image above. The WD Black 1TB at the time of writing can be found on Amazon for $289.99 which is approx $0.29/GB which is quite good for an extreme performance drive. This is about $8.00 lesser than the comparable Samsung 970 EVO offering. 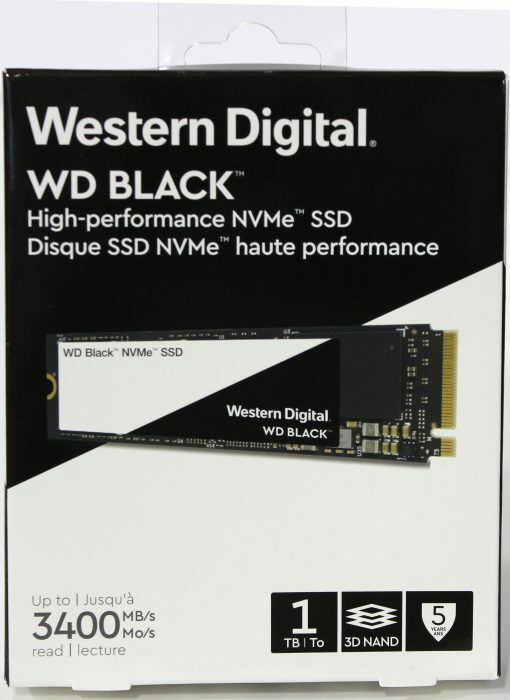 Western Digital has come to the NVMe market full swing designing their own Flash and controller to ensure they will be a tough competitor for the foreseeable future.